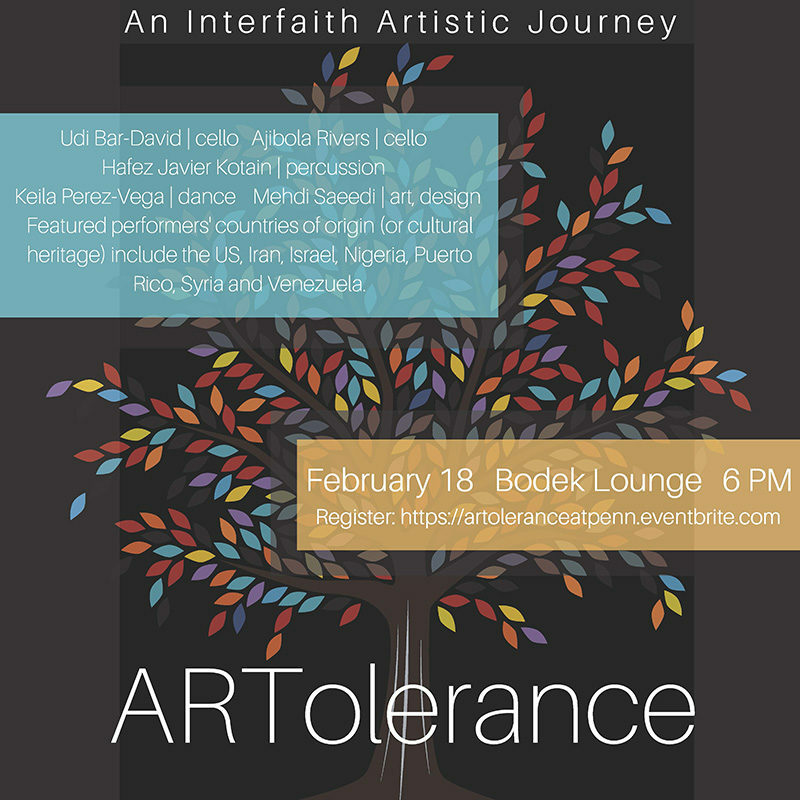 ARTolerance is a unique performance organization that uses performances from world class artists to explore differences, create common ground and inspire dialogue. The event on Sunday includes a cellist from the Philadelphia Orchestra along with percussion, dancing and a visual artist. The featured performers draw on the art of their countries of origin (or cultural heritage) including the US, Iran, Israel, Nigeria, Puerto Rico, Syria and Venezuela. After the performance there will be time set aside for discussion and response.